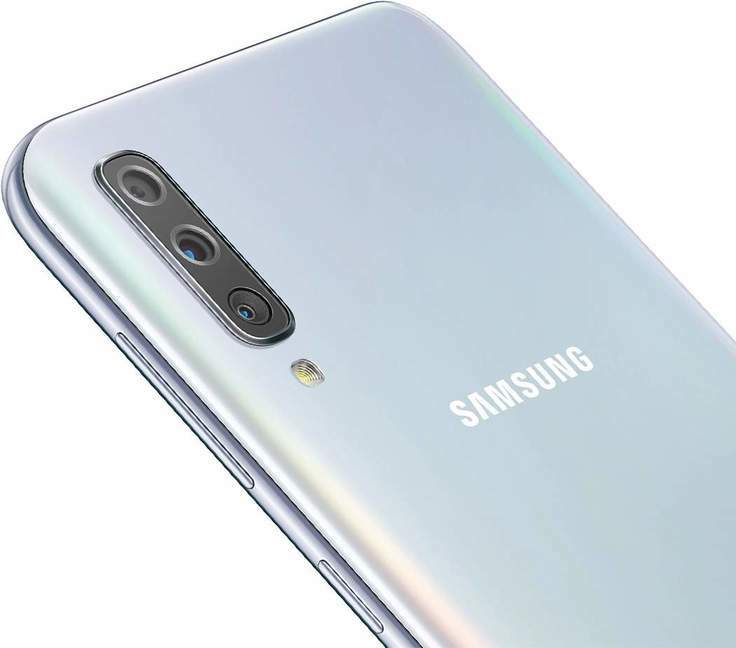 Samsung Galaxy A50 is ready to marvel users as continuation of the A-series. The smartphone appears stunning right outside the box with its lightweight construction and superior feel. It features a gorgeous edge-to-edge display along with a U-shaped notch at a budget-friendly price. With an 8 MP ultra-wide lens, you can capture amazing photos thanks to the 5 MP depth sensor. The smartphone enjoys a triple camera set up while also giving you a 123° angle for better view. It also includes AI technology with tons of features such as Panorama mode, Hyperlapse, Slow motion and much more. The Super AMOLED screen offers amazing results. It offers amazing HD display with a 19:5:9 ratio. Users can enjoy bright results like never before. Experience amazing viewing angles and colors like never before, whether you are indoor or outdoor. This is the first phone from the A-series to feature an on-screen fingerprint sensor. It is easy to use and continues to run even when your phone display is asleep. The A50 features an amazing 4000mAh battery and with super-fast 15W charging. The charger is available with the phone. The A50 features a powerful Exynos 9610 chipset that functions on 10nm FinFET. Its octa core is divided into 2 quad-core units. One of the clusters is powered at 2.3GHz while the other is powered at 1.7GHz. G7To further enhance results, it also features a Mali G72MP3 to ensure optimal graphics. 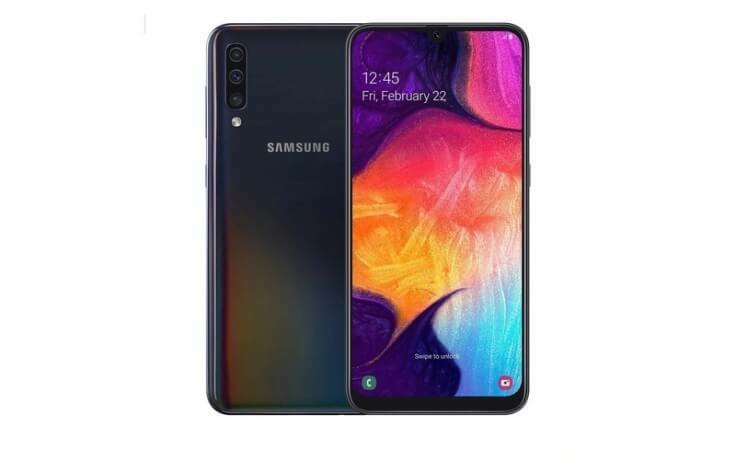 If we take a look at the software, the phones runs on One UI which is Samsung’s Android Pie. 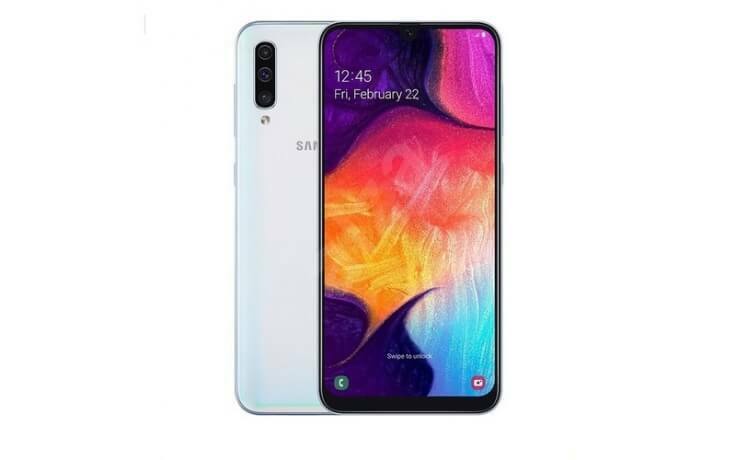 The improved interface is better suited for much taller smartphones such as the new Galaxy A50.